We firmly believe that everyone deserves the VIP treatment every once and awhile. That’s why at Carver Toyota you can expect world-class service each and every day. Here at Carver Toyota we believe the big details are just as important as the little ones. From returning your call in a timely manner to providing you with complimentary transportation while your vehicle is in our service department, you’re in good hands at Carver Toyota. Whether you visit us to shop, service or finance your vehicle, you can expect only quick, efficient service at Carver Toyota. In fact, we streamline every process to ensure maximum efficiency. Our customers are busy and we dare not waste their time. That’s why we pride ourselves on our fast shopping process and huge vehicle selection. Most importantly, at Carver Toyota there are no high-pressure sales or gimmicks. Just a friendly team of experts who are here to help. 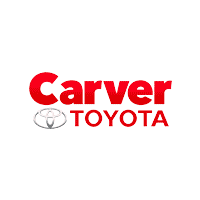 Carver Toyota is first and foremost a Toyota dealership and here you will find huge selection of new vehicles straight from the factory and a genuine Toyota service department. We carry the Camry, Corolla, RAV4, Sienna, Prius and many more. Whether you’re looking for a sleek sedan or a powerful SUV, there are so many options to choose from in the Toyota lineup! In addition, we also carry a variety of Toyota Certified Pre-Owned vehicles. Buying Toyota Certified Pre-Owned means you’re not only getting a quality vehicle, but it has met a specific set of requirements set by Toyota. Have a different vehicle in mind? We encourage you to browse our large selection of used vehicles. We carry a variety of vehicle makes and models, from minivans to hatchbacks. There are so many great options to choose from! In fact, we hand-select every vehicle and put it through a rigorous multi-point inspection before we even consider adding it to our inventory. From there, only the best will do. We are very particular about what vehicles we sell and are dedicated to providing only the very best to our customers. Truly, Carver Toyota remains a step above the rest! Here you will find a genuine Toyota service department, financial services and a huge selection of new, used and certified pre-owned vehicles. Come give us a closer look today!